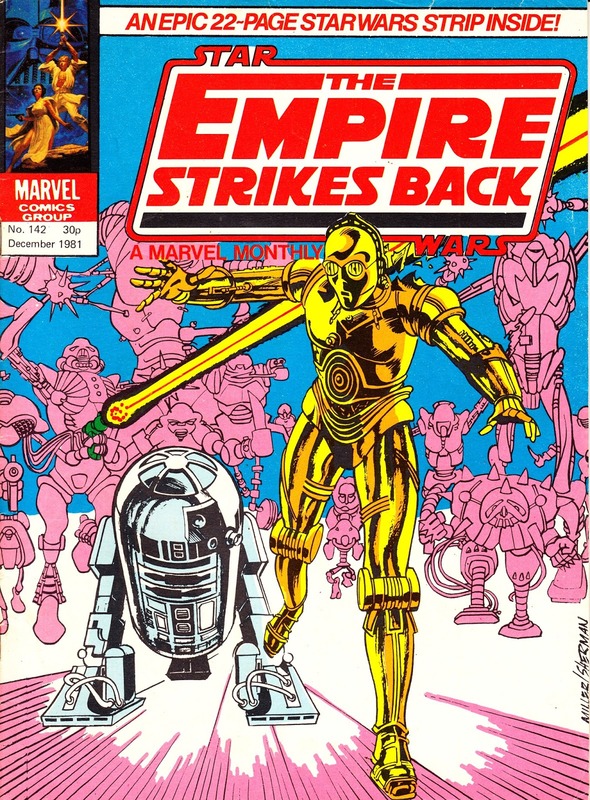 From 1980: long before the TV show, the STAR WARS DROIDS go solo in MARVEL UK's STAR WARS: THE EMPIRE STRIKES BACK MONTHLY issue 142, published in November/ December 1980... despite the muddled cover date. It 'reprinted' US issue 47, on sale Stateside in February 1981. Another British premiere. The same strip, published here in b&w, also (by virtue of its done-in-one nature) appeared in the fifth British annual (published in 1982). It was also - weirdly - adapted as a 'Read Along Adventure' audio.